Sculpted, square-shaped bottles in thick glass with Dark Brown maple wood cap. The bold, distinct features of the CULTI DECOR line add a touch of character to any room. Mediterranea: The Apulian countryside in all of its fertile abundance, with pomegranate trees and prickly pears laden with fruits peeking above the drystone walls. Wandering into the Mediterranean scrub overlooking the sea; picking fruit, getting your hands dirty, tasting its woody essence. Immerse yourself in the tangy scents of the Mediterranean and experience the sensation of a deeper breath. 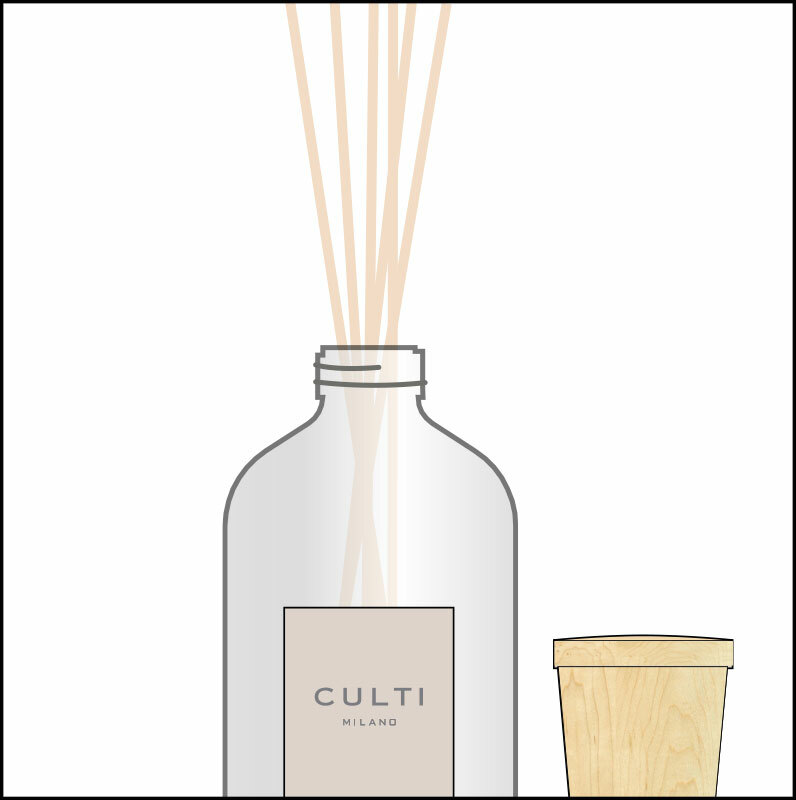 Fresh, with a spicy note of ginger and an elegant touch of cedar wood. For those who are attentive to detail. Switching the reeds. The frequency with which the reeds need to be switched, determines the intensity of the fragrance, the more they are being switched, the stronger the fragrance will be. 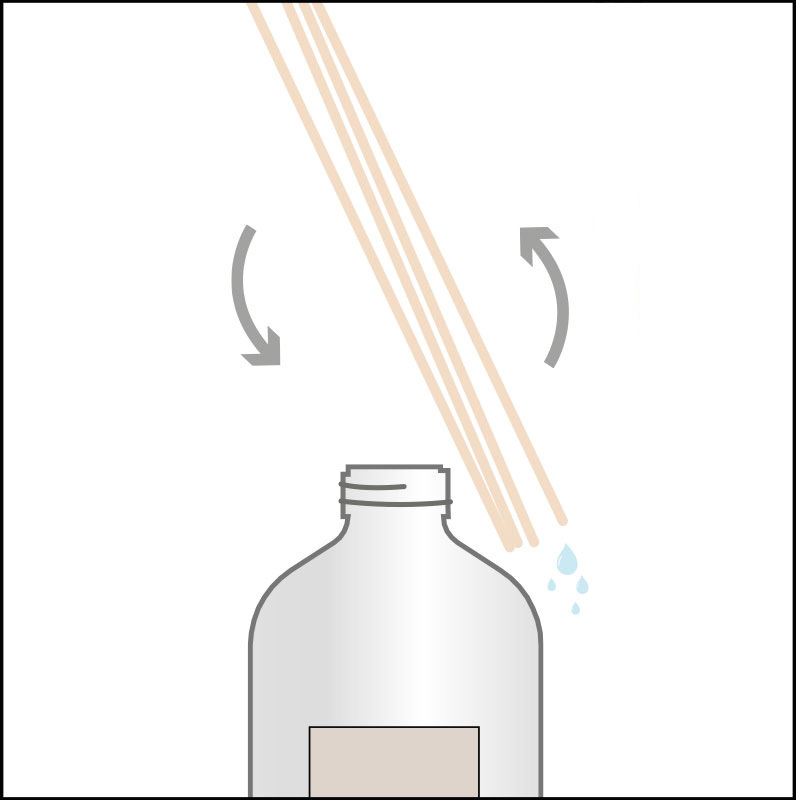 To moderate the fragrance’s diffusion, you may overturn only few reeds at a time. The duration of the fragrance. he dimensions of the space, the high temperature, the direct sunlight, the exposure to air currents are factors that can accelerate the evaporation and therefore reduce the duration of the fragrance. Position the diffuser away from light, heat sources and currents and evaluate the format of the diffuser according to the appropriate size of the space. Suggestions for an endless fragrance. 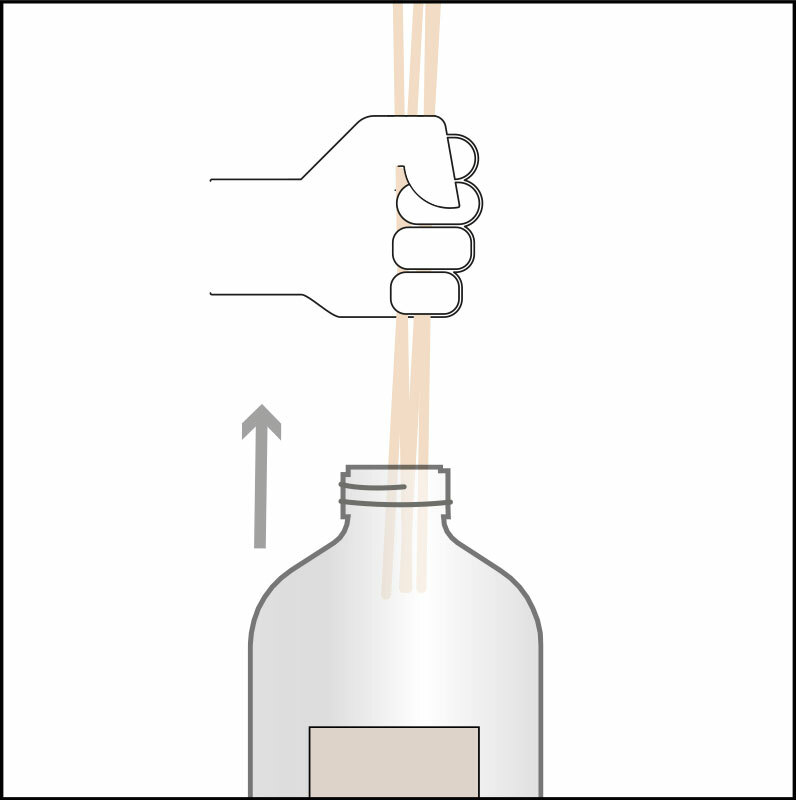 In order to prolong the duration and reduce the evaporation of the fragrance, it is recommended to keep the liquid in the bottle at the level of the curve. 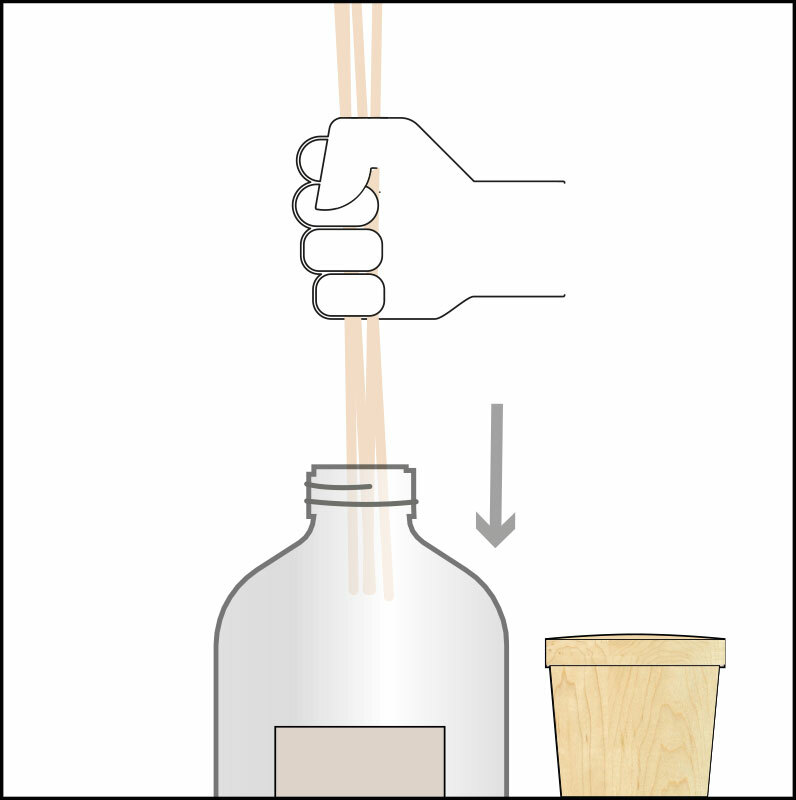 It will be sufficient to purchase a refill of the same fragrance and to pour it frequently into the bottle.